With vehicle details so we can help ensure this part fits your vehicle - we aim to respond within 2 working hours. 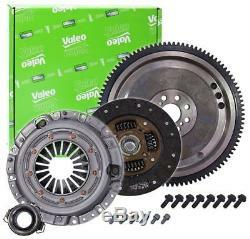 Solid Flywheel Clutch Conversion Kit fits TOYOTA AVENSIS CDT250 2.0D 03 to 06. With flywheel; with screw set; with lock screw set; with clutch plate; with releaser. 28,9 x 25,4. Conversion from dual-mass flywheel to single-mass flywheel. FDT-002, FDT002, SKT-303B, SKT303A, SKT303B. 415 0356 10, 415 0215 10, 415021510, 415 0356 10, 415035610, 600 0014 00, 600 0014 00, 600001400. 2290 601 039, 2290601039, 2294 601 001, 2294601001. 134500G010, 134500G011, 1345027020, 1345027021, 1345027022, 1345070011. TOYOTA AVENSIS (_T22_) 2.0 D-4D (CDT220_). Model year to: 01/2003; Engine Code: 1CDFTV-HDCR; Transm. Type: 5F; Transmission Type: Manual Transmission. TOYOTA AVENSIS (_T25_) 2.0 D-4D (CDT250_). Model year to: 04/2006; Engine Code: 1CDFTV-DCRL; Transm. TOYOTA AVENSIS Estate (_T22_) 2.0 D-4D (CDT220_). TOYOTA AVENSIS Estate (_T25_) 2.0 D-4D (CDT250_). TOYOTA AVENSIS Liftback (_T22_) 2.0 D-4D (CDT220_). TOYOTA AVENSIS Saloon (_T25_) 2.0 D-4D (CDT250_). TOYOTA COROLLA (_E12_) 2.0 D-4D (CDE120R_, CDE120L_). Model year to: 05/2004; Chassis no. From: SB1; Engine Code: 1CDFTV-HDCR; Transm. Type: 5F; Transmission Type: Manual Transmission; Vehicle Production Country: Japan. From: SB1; Engine Code: 1CDFTV-DCRL; Transm. TOYOTA COROLLA (_E12_) 2.0 D-4D (CDE120_). From: SB1; Engine Code: 1CDFTV-DCR; Transm. TOYOTA COROLLA Estate (_E12_) 2.0 D-4D (CDE120_). Model year to: 06/2004; Chassis no. Model year from: 06/2004; Chassis no. TOYOTA COROLLA Saloon (_E12_) 2.0 D-4D (CDE120_). Model year to: 02/2007; Chassis no. From: SB1; Engine Code: 1CDFTV-DCR; Engine Code: 1CDFTV-DCRL; Transm. TOYOTA COROLLA Verso (ZER_, ZZE12_, R1_) 2.0 D-4D (CUR10_). Model year to: 08/2005; Engine Code: 1CDFTV-DCR; Transm. TOYOTA RAV 4 Mk II (_A2_) 2.0 D 4WD (CLA20_, CLA21_). Type: 5M; Transmission Type: Manual Transmission. Valeo is one of the biggest automotive suppliers of Quality products, specialising in French manufacturers, but with good coverage over all marques. Valeo supplies more radiators to OE Manufacturers than any other supplier. The item "Solid Flywheel Clutch Conversion Kit fits TOYOTA AVENSIS CDT250 2.0D 03 to 06" is in sale since Wednesday, November 15, 2017.